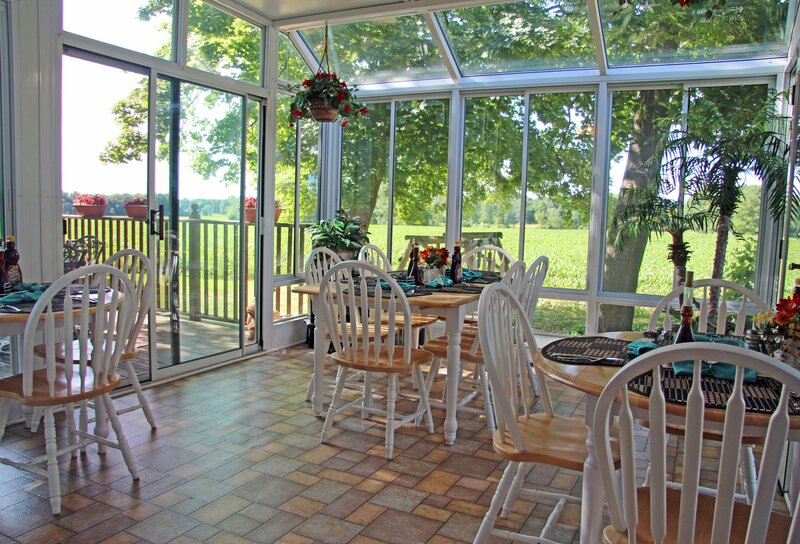 Breakfast Sun-room for 3 seasons. Winter Dining room, full of goodies for our guest. in Fennville / Saugatuck area. 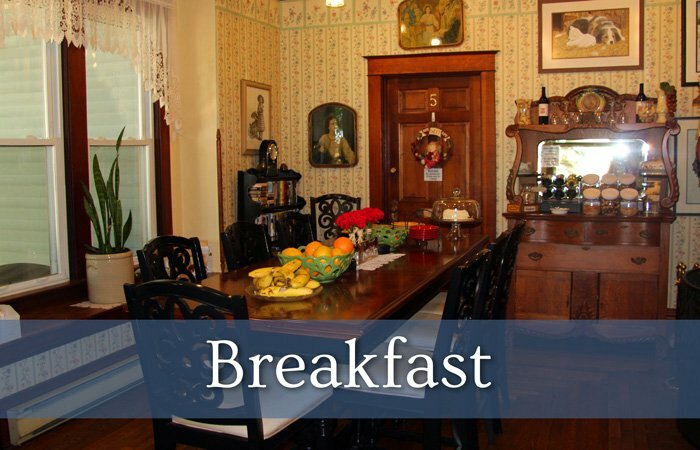 Bed and Breakfast are not just a place to stay where and Experience. Scroll down for Off-Season 30% DISCOUNTS! 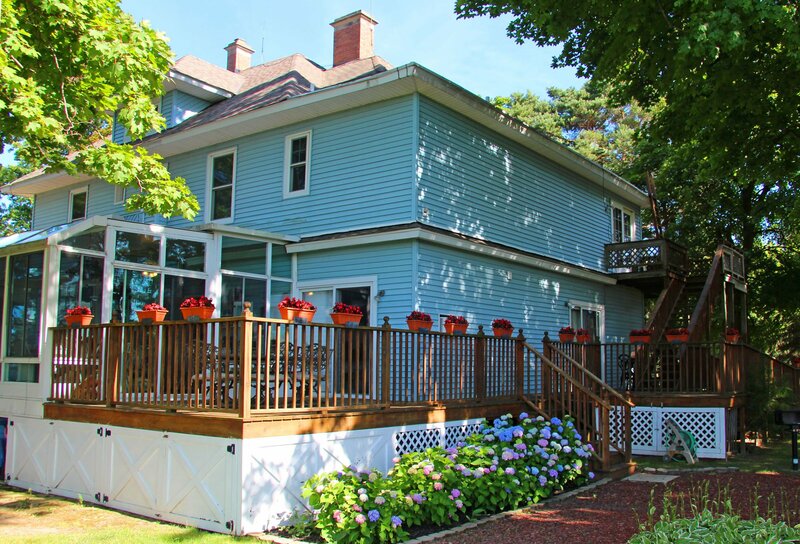 Our Guests have said we are the "Best kept secret in the Saugatuck area of Michigan", Fennville is our home city, just a 10-minute drive to Saugatuck and Douglas, 2 miles from Fenn Valley Vineyard and Crane's Orchards, 20 min. South of Holland for Tulip Time, and 20 min. North of South Haven. We have been in business since 1986. We offer a peaceful and quite country retreat.. 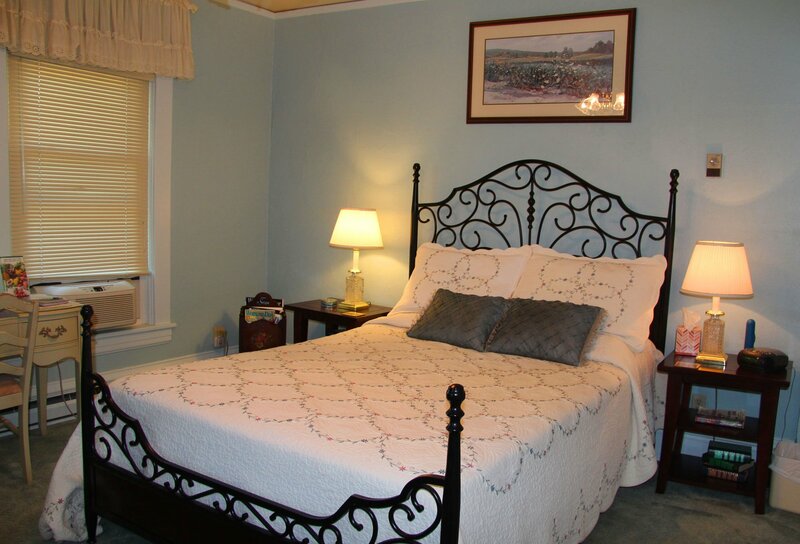 So relax in our charming, romantic, peaceful, friendly down home welcoming Bed and Breakfast. We offer our guests many extras some rooms have Jacuzzi tubs and fireplaces, all rooms have robes and refrigerators and other room amenities. 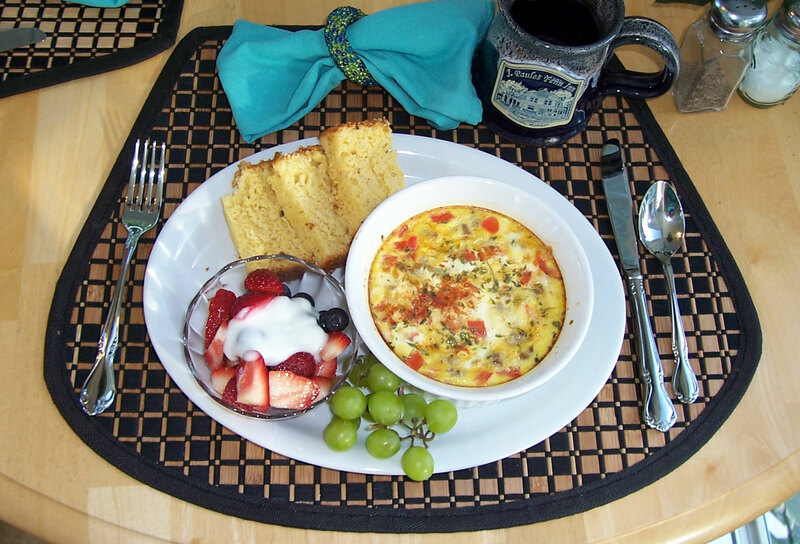 A full breakfast is served each morning from 8:30 am -10 am and we have no problems with special needs such as Gluten Free, Dairy Free, Vegan or Vegetarian diets for breakfast. We are on 2 acres, with picnic tables, cooking grill and a fire pit in our backyard, many swings in different gardens, water fountains and quite places just to sit and read. 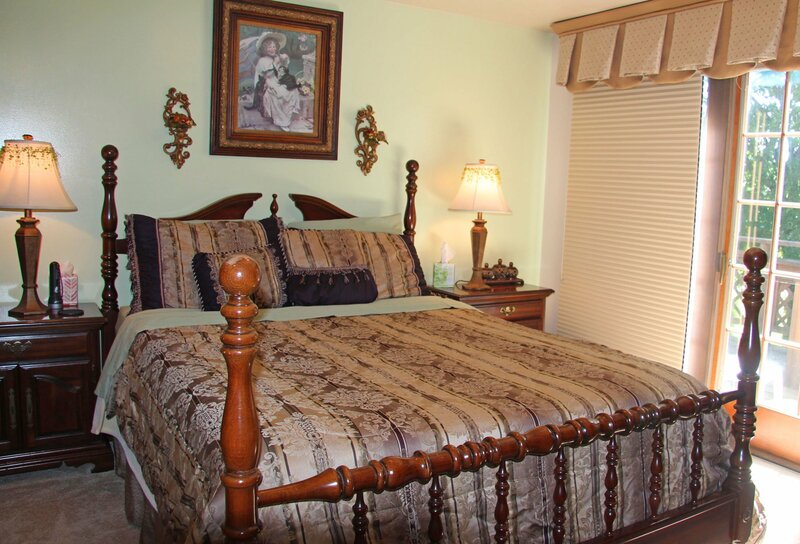 Again, very centrally located, 2 miles from all Fenn Valley's Winery activities, 10 min. 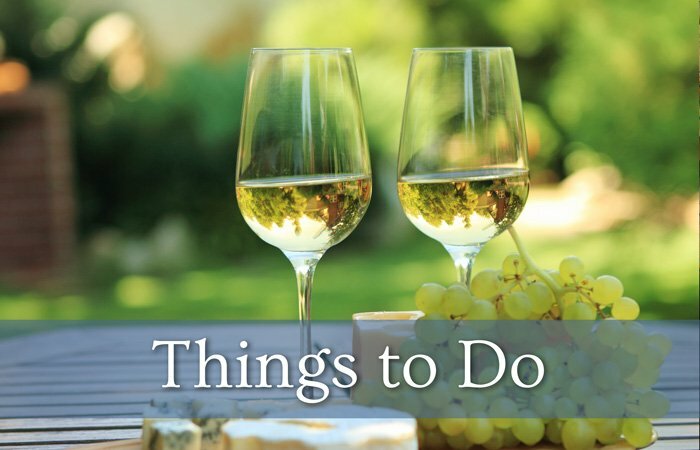 from Saugatuck Brewery and Saugatuck with its Oval beach and downtown boardwalks, 3 miles to Crane's Orchards with the U-Pick, restaurant with home made desserts and cider. Holland (north) and South Haven(south) are just 20 minutes away, with lots to offer. 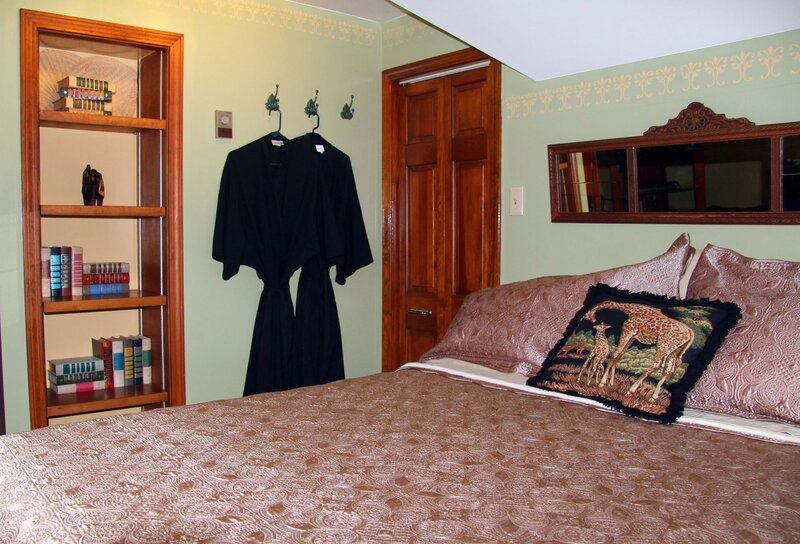 As you can see with our bed and breakfast being so centrally located, you have many great adventures at your fingertips, spring, summer, fall and winter. Please Note: If you wish to take advantage of any of our "Monthly Specials" you need to call and book personally with us. With online booking we can not give specials because they charge an up fee for using their booking services. If you wish to view a video click here. We also offer a "Complimentary Tastings for Two at the Fenn Valley winery" and if you decide to buy one of their many wonderful wines you will receive 2 "FREE" glasses from them at the winery. Stay any 2 days or more and get 30% off your stay.! Stay a 3 day long week-end and receive 2 "FREE" MUGS. **Can not be used with any other discount or web-bookings sites. ***Please note if you are using a Bed and Breakfast.com Gift Certificate or any other booking agency such as Expedia, Air B&B, because of their up charges you can not use any of our specials. Only when you book directly through us. Sorry! 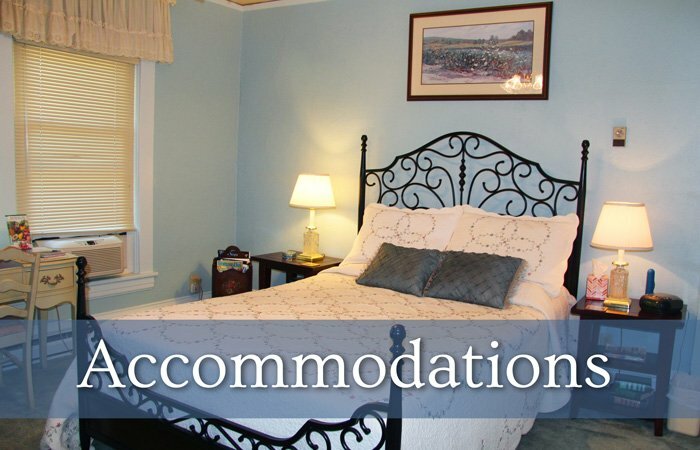 ****Remember you must ask for specials at the time you book to receive discount on your stay. We also give a 5% discount for all cash transactions. THANK YOU AGAIN FOR RETURNING TO J. PAULE'S FENN INN, YOU WILL RECEIVING AN AUTOMATIC 5% DISCOUNT FOR BEING A REPEAT CUSTOMER. 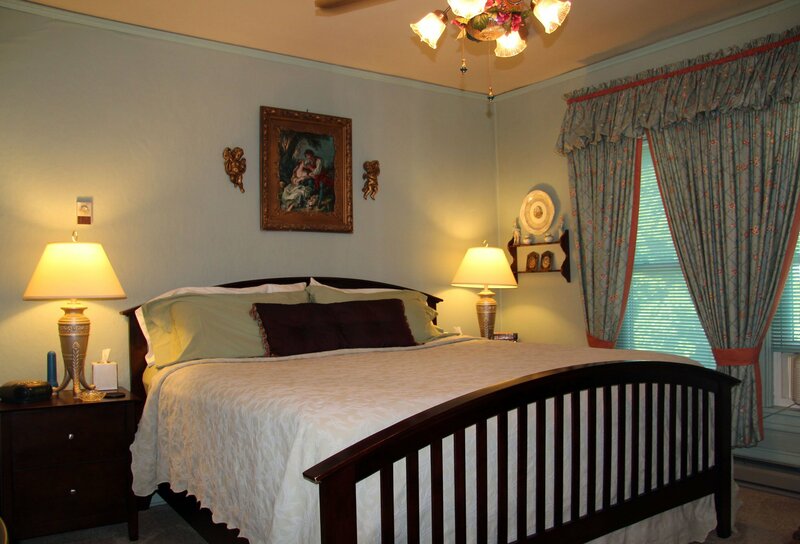 If you are a Senior, (starts at age 60) you can get a 5 % discount also on your stay. 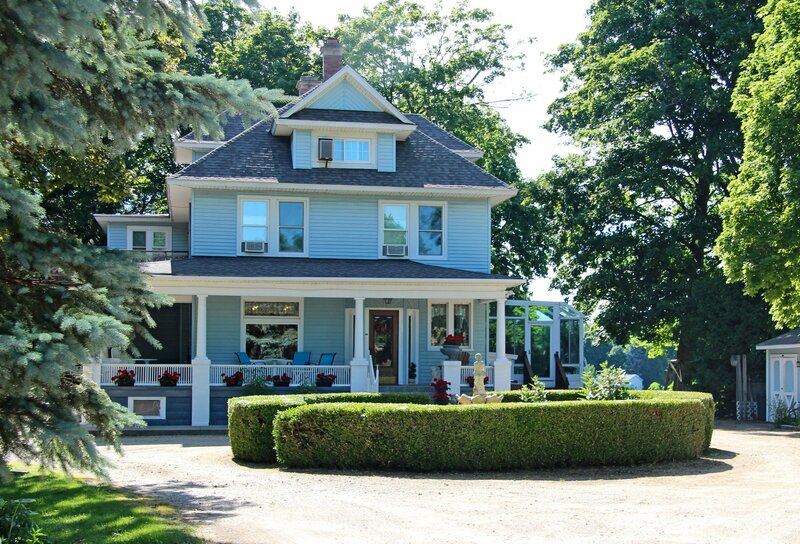 We would like to cordially invite you to share our relaxing Fennville/Saugatuck, Michigan area bed and breakfast, just a 10 min. drive from all the noise of a tourist town with all its water activities in the summer and winter sports in the off-season. There are many exclusive extras to make you feel right at home. 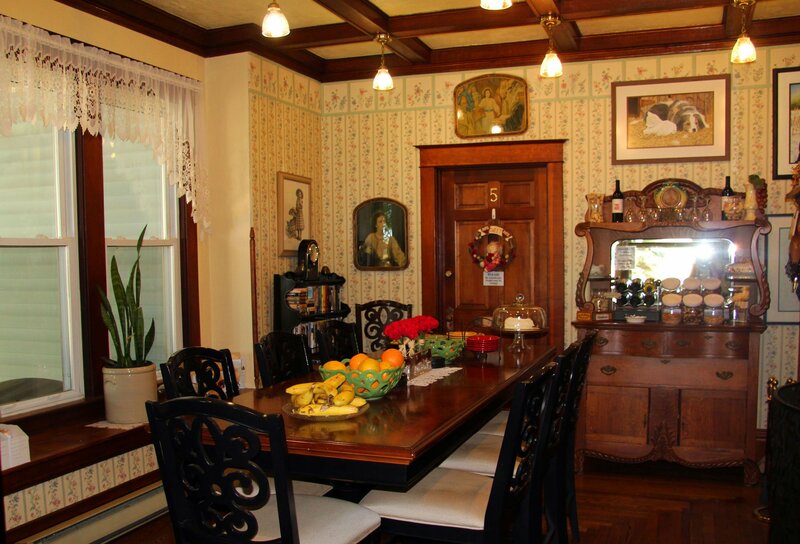 The main dining room we offer our Guest fresh fruit, cookies and other desserts, different snacks such as nuts and trail mix. We have wine in the evening "FREE" for our guests. Come partake and enjoy the area's many activities for an excellent getaway, romantic or otherwise. 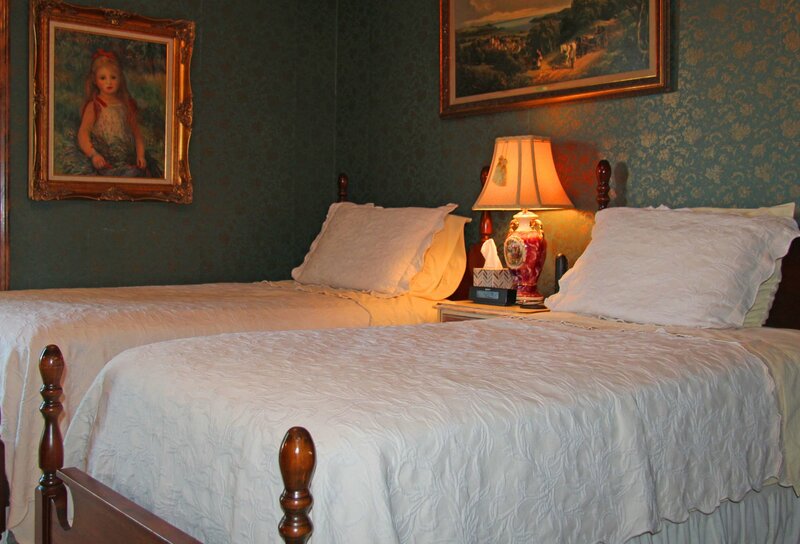 You can just stay at the Inn and read a book, or have some popcorn and watch a movie, selected from the many DVD and VHS that we offer our guests for their enjoyment. Fresh coffee, teas, and hot chocolates, and endless cookies are always available and a hearty breakfast is served each morning from 8:30 am to 10am, so you can get up early or sleep in.... We have no problem accommodating our guests' special diets, with advance notice. Relax in our outside seating areas surrounded by flower gardens with water features. 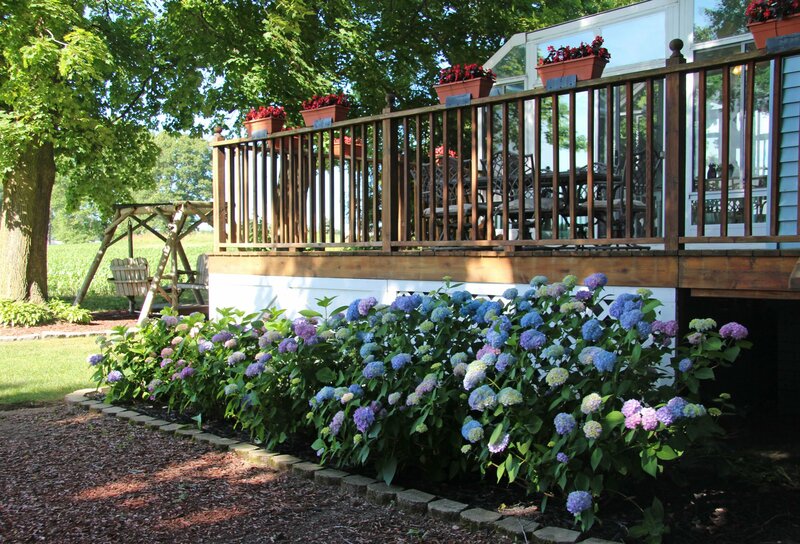 The Inn is located on two acres that have wonderful flower gardens all summer long and huge maple trees that shade the many swings on our property and give a spectacular display every fall. We have been a "Destination" for people from all over the world since 1986! 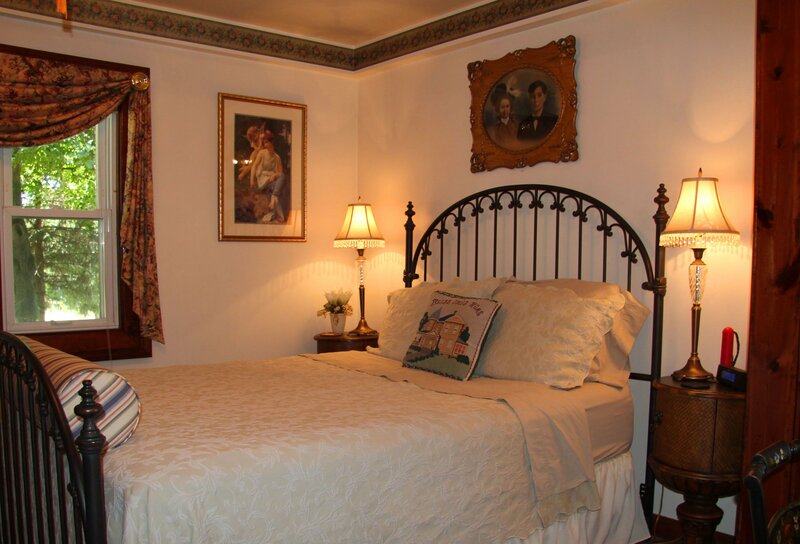 "J. Paule's Fenn Inn is not just a place to stay - it is where the Journey Begins". We offer a 5% discount for all repeat customers, so come on back. Over 60 get a 5% discount also, there is also a 5% discount when you pay cash for your stay. Sorry you can only use 2 of these discounts at one time. Don't forget we always run our mid-week special Sunday through Thursday: (You must ask for the specials at the time of booking in order to receive them). Can not be used with other discounts. In our off-season (November 1st. - May 31st) and on weekdays Sunday through Thursday, we will take a one day weekend reservation, excluding holidays.